Our 3 days Rwanda Gorilla Tracking Safari takes you for one of the rarest encounters on earth in Parc National de Volcanoes in Rwanda. Meet and mingle with the Gorillas, take life memory photographs, and crown it by tracking the Golden monkeys, one of Rwanda’s unique experiences. Our driver/guide will pick you up from your hotel after breakfast,for a visit to the Genocide memorial before continuing to Ruhengere province with lunch en-route. After breakfast head to the park headquarters for briefing about the park regulations and the mountain gorillas in their misty home. Enter the jungle after the briefing to search for the mountain gorillas and on finding them spend 1 hour around them to watch them play, groom each other and feed. Come prepared to take memorable photographs and bring your rain gear along, wear comfortable covered walking shoes, and bring insect repellent, sun screen, a hat, packed lunch and bottled mineral water. After an early breakfast head into Volcanoes National Park this time to track the golden monkeys starting from the park headquarters at 7:00am. Search for the playful primates and on encountering them maximally spend the allowed 1 hour around them watching and taking life memory pictures. 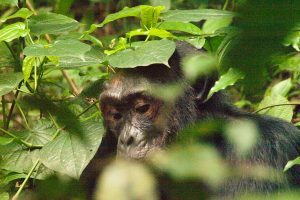 After this activity transfer to the Airport with great memories of your Rwanda gorilla safari for your departure flight home.